If you put New York, London and Copenhagen into an enormous blender, where high humidity and China is added, while starting the blender for the highest speed, then you have the cocktail that is Hong Kong. A cocktail that is drawing you in from the first moment you step onto its pavement and where every sense is stimulated. 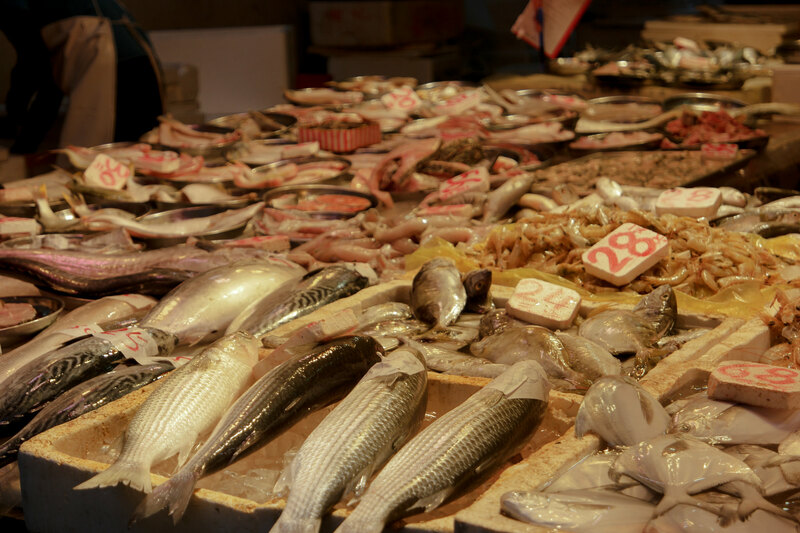 From the different scents of the butcheries, fish markets and fruit vendors to the flavors of the countless restaurants and food stalls that serves everything from traditional Cantonese dishes to American hamburgers. Hong Kong is a city that has everything and demands your complete attention and will not stop seducing you with its amazing views, wonderful people or endless streets. It is a city that is in the fast lane and a city which will literally take your breath away from your first steps onto its paved streets. 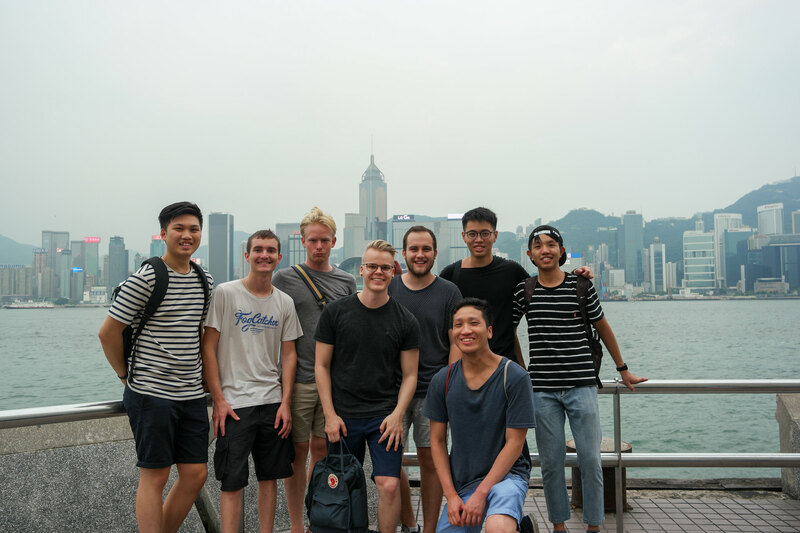 I have now, more or less, accustomed to the daily Hong Kongese life, even though from the moment I landed there were trouble with getting the right courses, making them all fit together in my schedule and how to go from a quiet, simple Danish life to the fast paced Hong Kongese everyday life. But I can now, after 10 days since I landed, that I am comfortable and also in love with this Asian metropolis. At first glance Hong Kong seems like any other metropolis. Great in size, unmanageable in numbers and chaotic in its daily life. But under the surface it is so much more. The people are busy, but are never too busy to stop and help, never to stressful to give you a smile on their way and to take you in as one of your own. But is it not only the local Hong Kongese, who has given me a warm welcome. 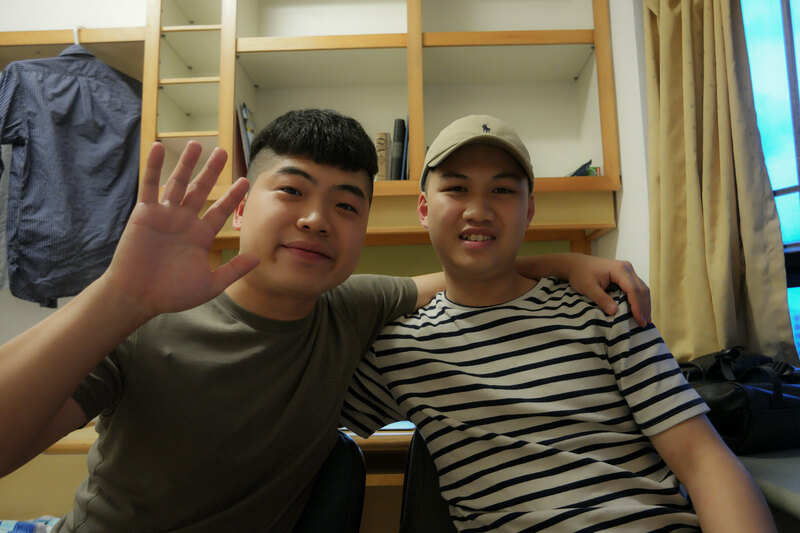 Every single exchange student I have met, whether from France, Australia or South Korea, have been friendly, helpful and always wants what’s best for you. If one is afraid that you’ll feel outside, because you are different from the locals, then don’t. There will always be someone in the same situation as yourself, take the chance, book your ticket and surge for the amazing feeling, which is studying/working in a foreign country. In the first couple of days in Hong Kong I had no roommate, which made me feel a great loneliness at my dorm room. I could comfort myself with the relative good view I have from my 11th floor room. In this period I felt very homesick and didn’t unpack for the first couple of days. But after a couple of days my roommate joined me, and we have since become good friends, which helps each other with small and larger things. His name is Chaeho and he is from South Korea. There is great cultural differences between us. He served in the army for two mandatory years, whereas I drew a free pass from the army. Our tolerances in spicy food is on different scales, where the food I find really spicy, is what he categorizes as a morning snack. Even though we have a lot of differences we are very much alike, we both love great food, watching movies and we both miss our girlfriends back home. Our conversations has revolved around stories of our home countries, backgrounds and how surprisingly easy it actually is to spot a Korean from a Vietnamese or a Hong Kongese. I have in the first period run into a lot of exchange students from all over the globe. We all talk with different accents and languages, in different levels of English and with funny phrases, which only makes sense in our mother tongue. Up until the start of the semester we played cards, ate good foods, came to the conclusion that Donald Trump is a pretty crazy dude and we have explored this city, that we in the next couple of month will call home. 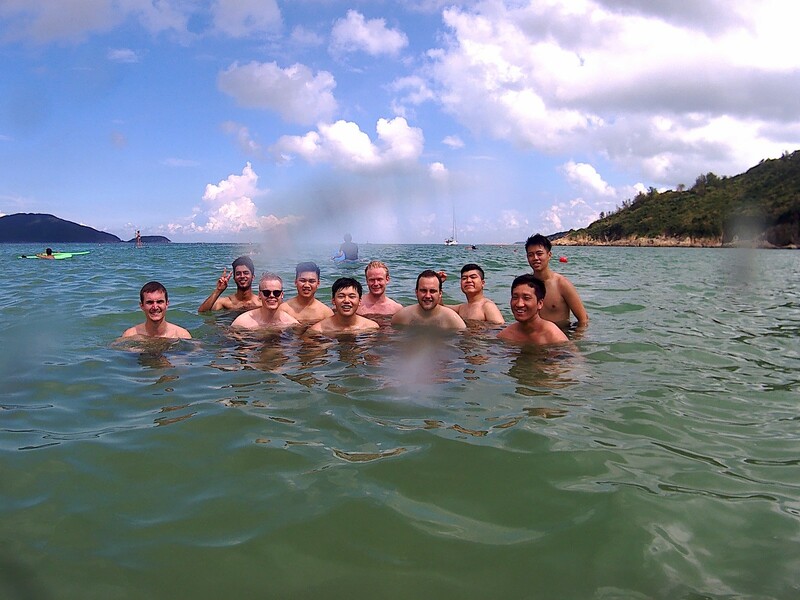 I have become very good friends with a group of guys, that comes from different parts of the World. We have representatives from all over the globe, from Asia to Europe to Australia. We have a lot of differences between us, but we all share the same lust for adventure. We have grown so fond for each other that we have already booked our two first cultural trips, one is due in September that leads us to the exotic and adventurous streets of Ho Chi Minh City, and the other is headed for Tokyo in mid November. The period at the moment is spent on counting down the days, planning on what we have to see, eat and where to sleep. Shopping, shopping, shopping. The consumer culture is strong in this part of Hong Kong. 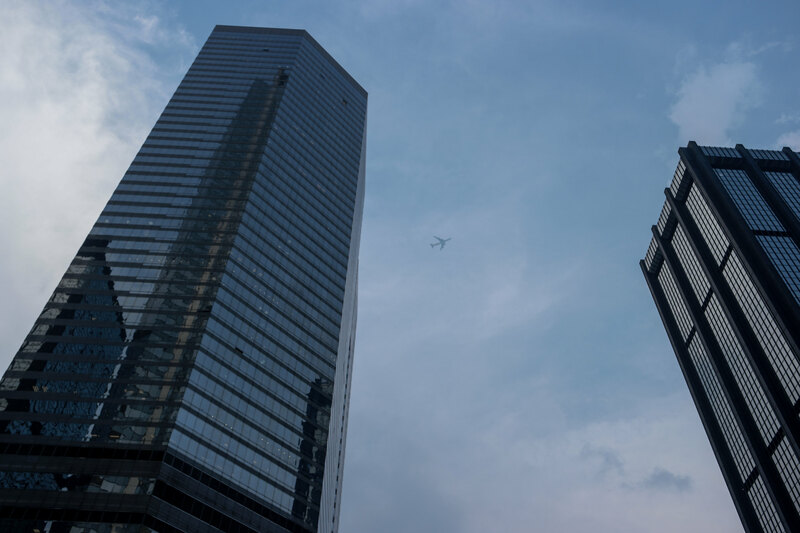 The world famous Mong Kok together with Tsim Sha Tsui and Hong Kong Island makes Hong Kong a shopping Mecca, that offers anything your dreams might crave. As a sneaker lover I have grown a special fondness for Mong Kok as it houses the sneaker street, which is a multi block long road which, as the name describes, is filled with stores selling the famous rubber soled sneakers, which have been a permanent part of pop culture the latest couple of decades. 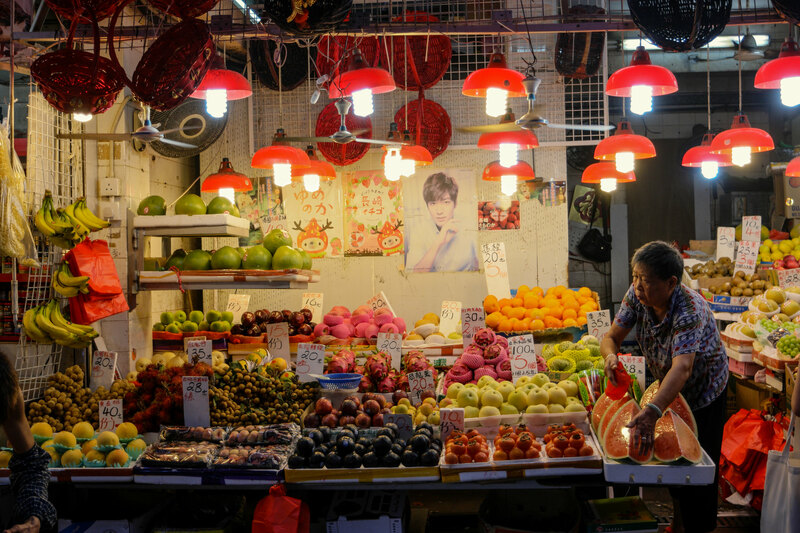 Mong Kok also houses the world renowned Ladies Market, which is an “all-you-can-eat”-buffet for bargainers. 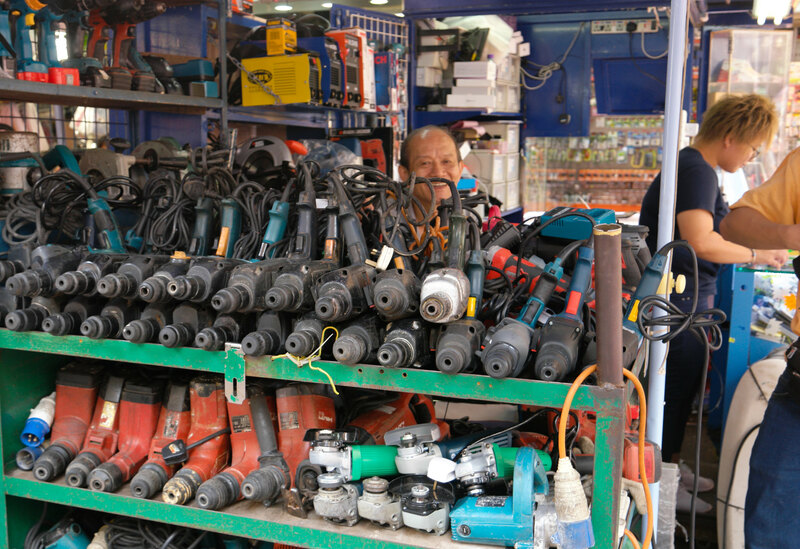 This market sells mainly fake consumer products, that ranges from toys to electronic products to designer clothing. 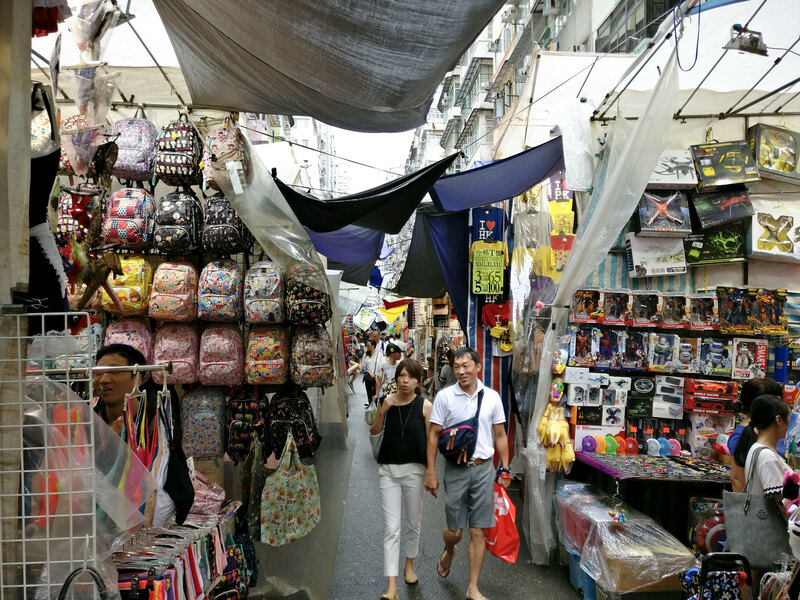 Even though I haven’t shopped a lot, I have visited Mong Kok just to see Ladies Market, because one can find the funniest products and rip offs, which would have never passed the copyright laws in Denmark. 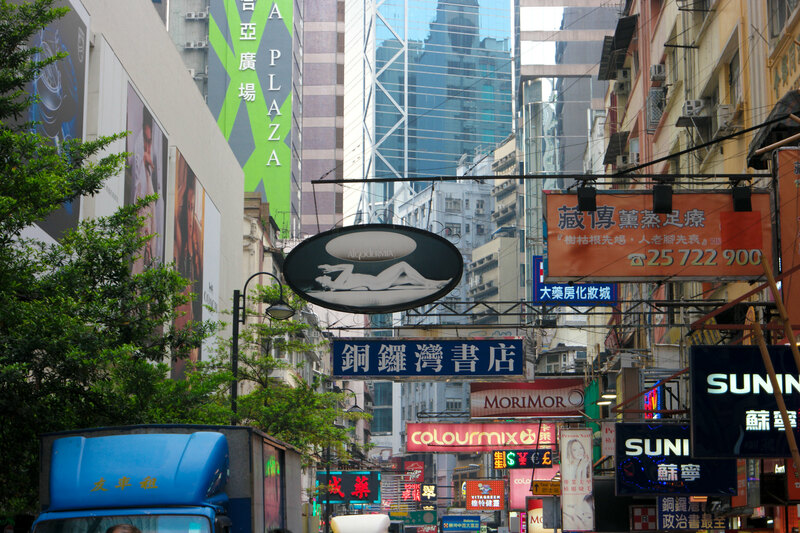 If you plan on visiting Hong Kong, then Mong Kok is a must see! 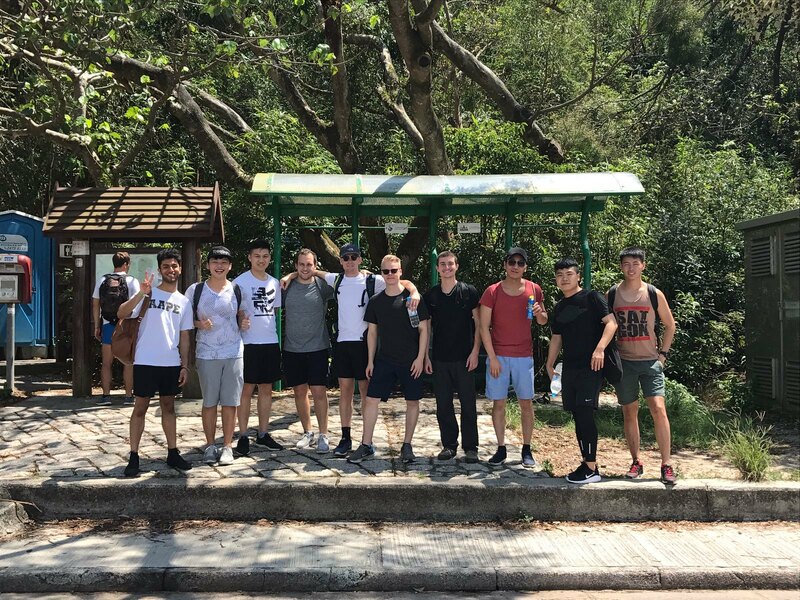 We were a group of ten guys, that started our day by eating a big breakfast together and thereafter taking the metro and bus to the foot of the Dragon’s Back Trail. At around 12 AM we started our ascend on the hike, where we quickly realized our mistake, which were hiking at 12 AM. The sun was baking down with around 35 degrees, which felt more like 45 degrees because of no wind, the humidity and the lack of clouds in the sky. While we ascended the air got thinner and thinner, which further hampered the hike. 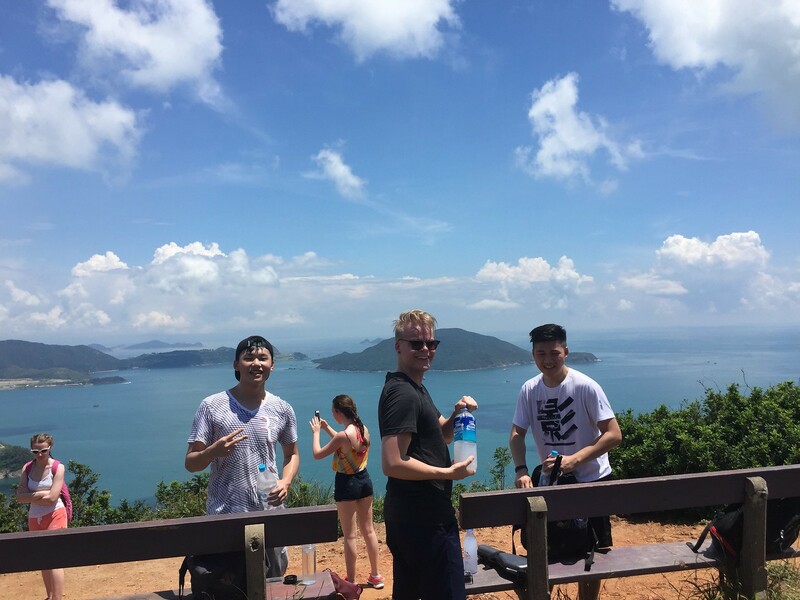 The first hour of the hike, where one the hardest physical moments that I have ever experienced, but the view at the peak was amazing. 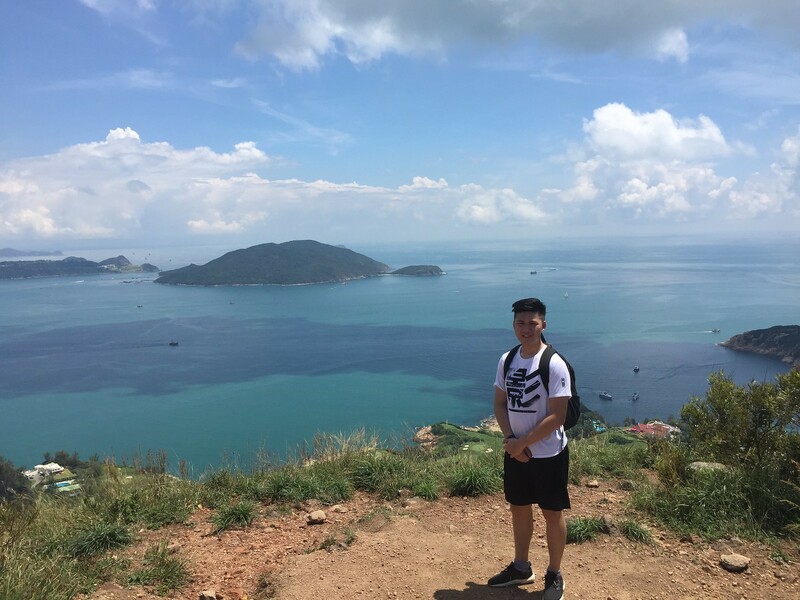 From the 250 meter peak, we could see the small village that had harbour our to the South China Sea, which stretched as far as the eye could see. 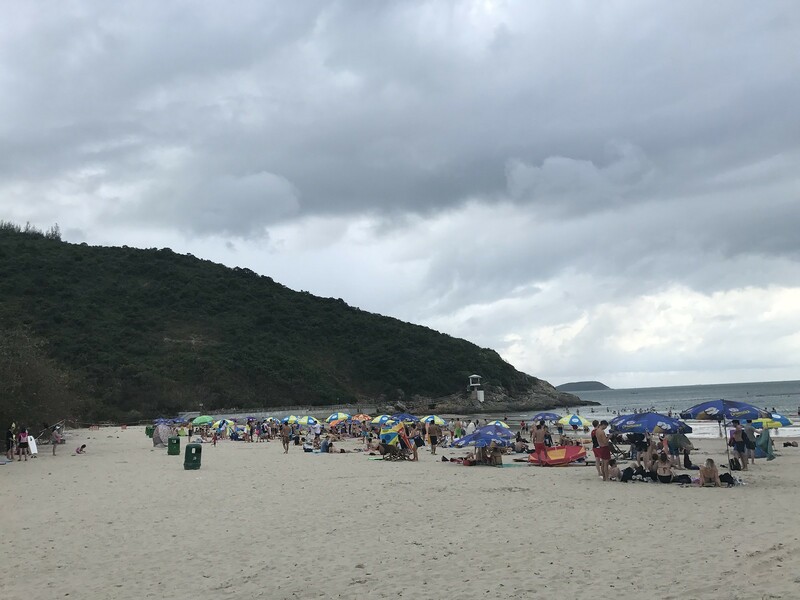 The entire hike took us about 3 hours to finish and we were rewarded with Big Wave Bay, which is a beach with beautiful waters and a stunning view. 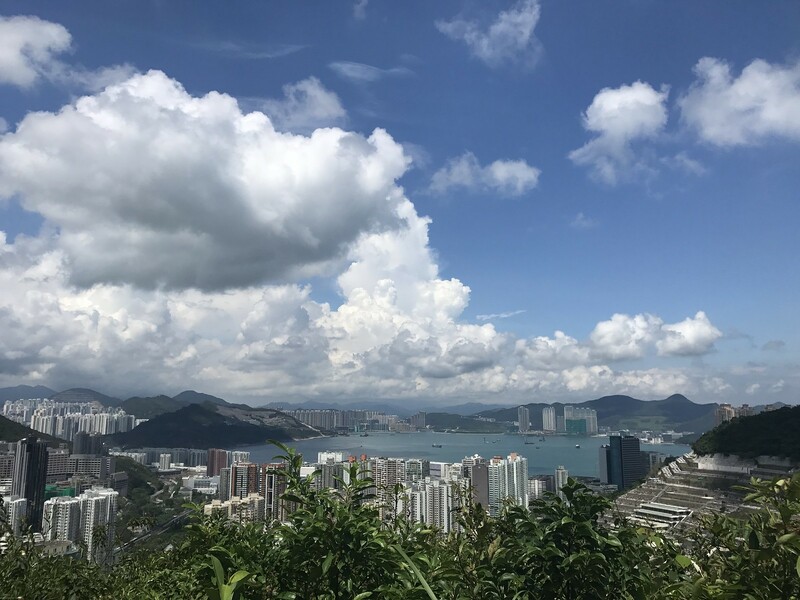 The next big challenge for is a (hopefully) just as beautiful hiking spot, Lion’s Rock, which should reward us with the most fantastic view of Hong Kong’s massive skyline. Thank you for reading and I look forward to writing my next update, which will hopefully be just as eventful! Halvvejs i semestret - jeg har det godt!